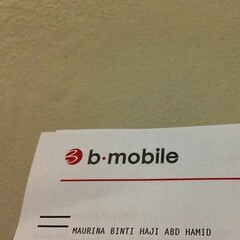 Thank you all for all the comments, Whatsapps, etc today about the package that I am doing. FYI I am doing the Campsite Experience which u can find out more from here. Also, check out DAY 01 activities here. 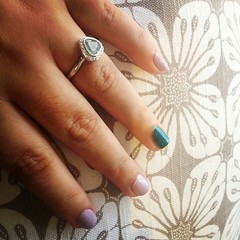 Day 2 makes me a bit nervous cause it is a big day!!! SO MANY ACTIVITIES TODAY! Check out my vlog of the day’s activities (it’s a bit long but omg banar2 kami non stop nya org tua tua RIBUT TAUFAN LAGI BERANTI!). 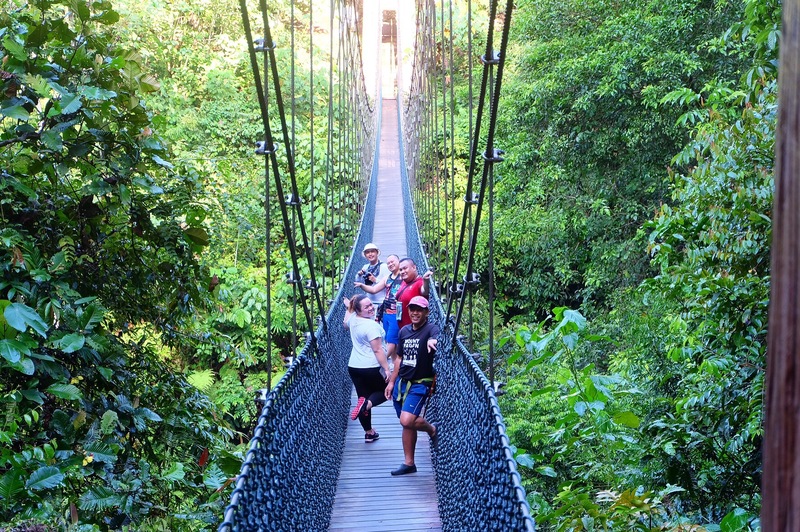 Woke up superrrrr early at 4am, to konon catch the sunrise up on the Canopy Walk at the Ulu Temburong National Park. It was a slippery climb and no surprise, we didnt make it to catch the sunrise. HAHA. So annoyed cause not many nice photos of me here. 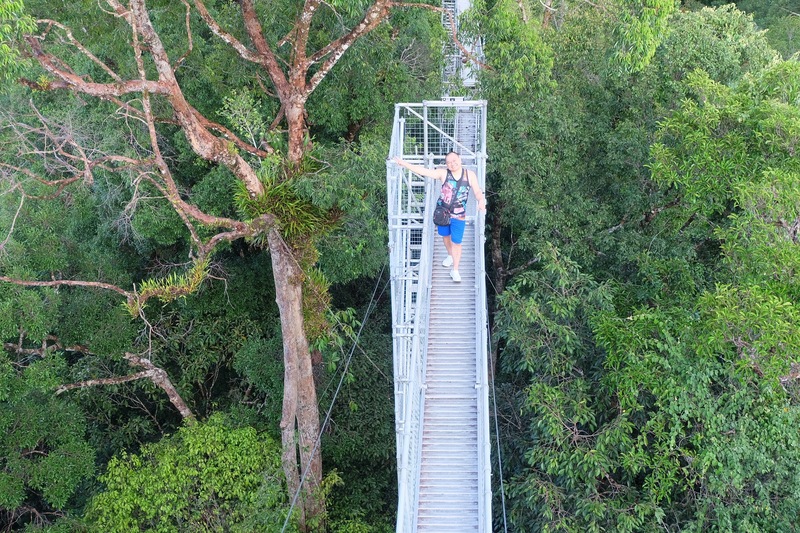 To get to the canopy walk, you need to go through the Keruing Hanging Bridge, named after a hardwood native in Temburong, and climb a hill, about 200-300 metres (I think). Please wear proper shoes as it does get super slippery after rain and I actually fell quite a couple of times (no surprise there hahaha – gravity challenged). 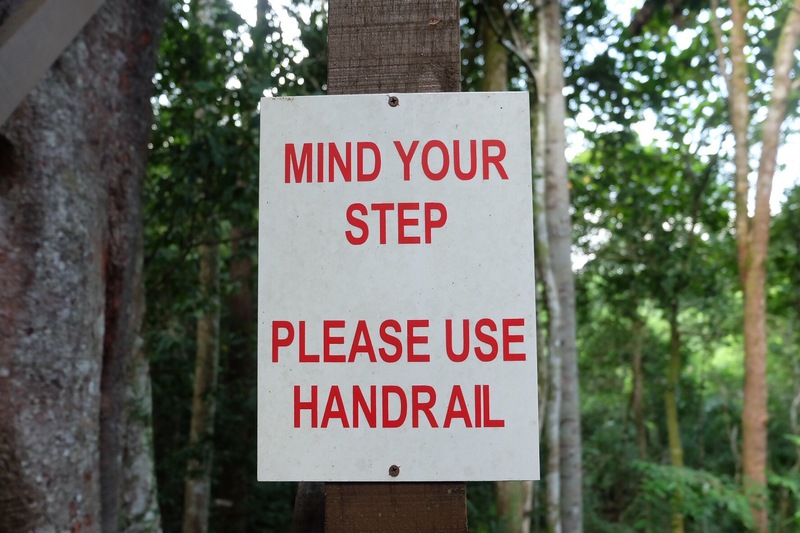 HOLD ON TO THE HAND RAILS! 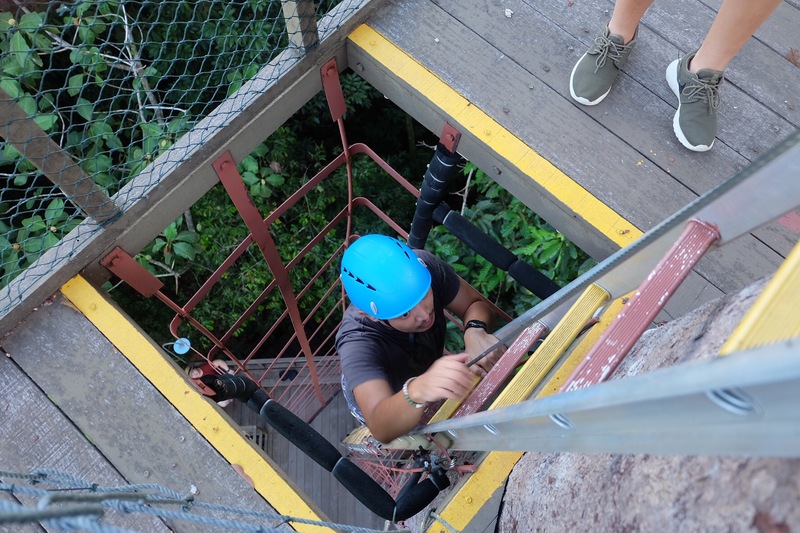 Many people ask me, if I get scared while climbing up. Honestly, it’s really scary. With my history of falling, slipping, etc, it doesnt really inspire confidence. Haha. But I feel like if you are super super super careful, and u just trust God, he’ll assist u to come up to see the heavens. My advice is to follow your gut feeling, and dont get forced into climbing if you are not confident and don’t look down! 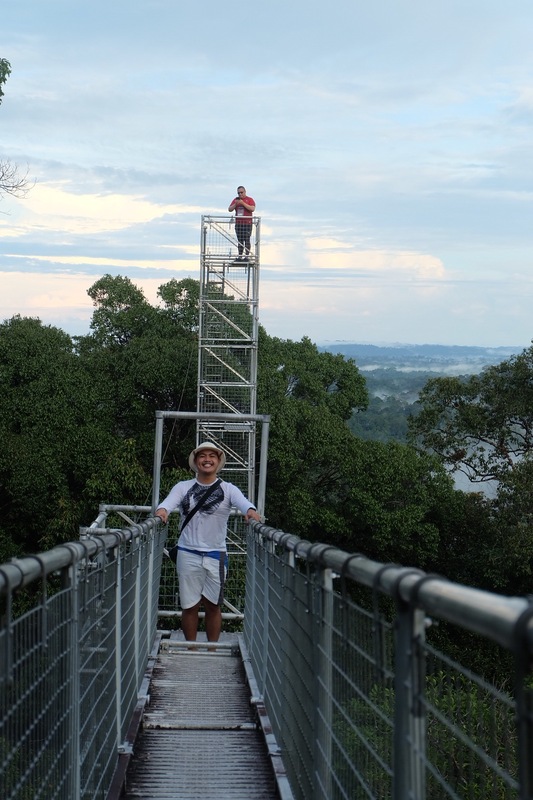 When you’re up there, it’s really undescribable, here u are with the best view in Temburong – it is pretty crazy to miss. 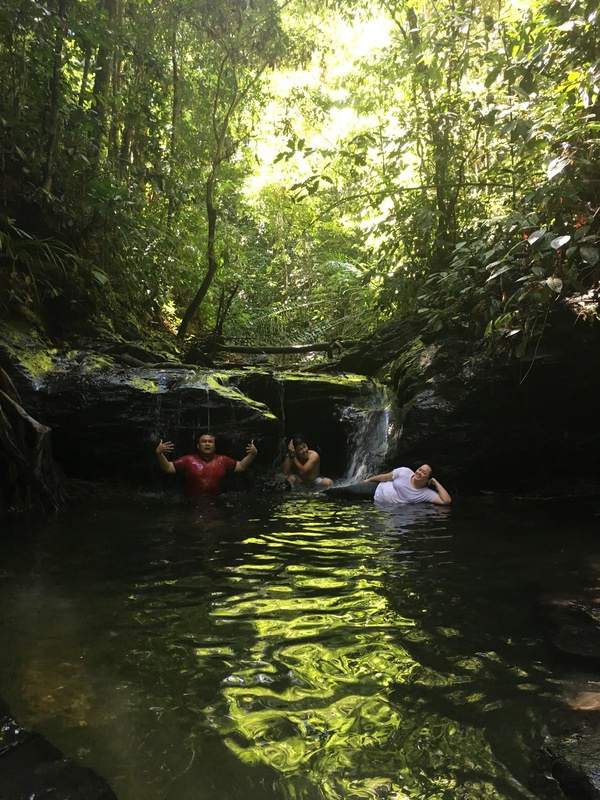 I always hear about wasais, which means “small waterfall” in Brunei Malay and I’ve really only been to a a few but I have to say this one is the most beautiful and lawa I have ever seen. The crystal clear water, the shade, the little cove where I like to sit. I really really like it here! Do check out the Youtube video up there and see how much we enjoyed it there. This wasai is kid friendly and siuk berabis di dunia macam i feel like inda mau balik. Spent quite a while and it’s also our last destination, before packing up, checking out and leaving for our second accomodation. 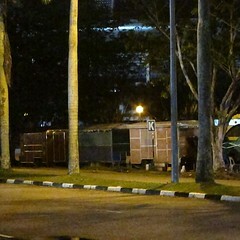 This place is 5 stars compared to our camp site hahahaha!!!!!! Don’t get me wrong, we loved the campsite but it’s also very siok to come back to enjoy these comforts we so very much take for granted in our lives. Our room which was a family room, had aircond, wifi, and that night we all slept like logs!!! Hahaha. The bathrooms were super clean, to be shared with all the guests in the lodge. 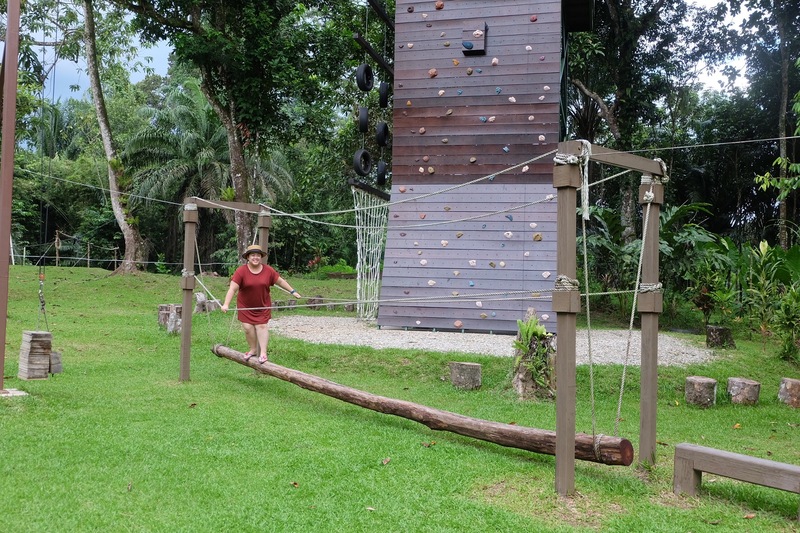 This accommodation is geared more towards adventure activities, for example there’s a bootcamp style set up, at the back u can do rock climbing on that wall, or u can do abseiling. 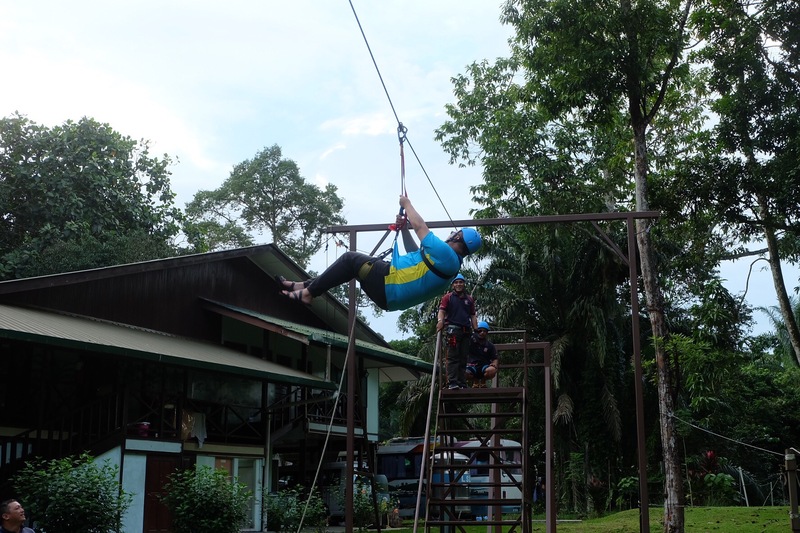 Shaf, even did a flying fox thing (see in the Youtube Video above). At night after dinner, we were supposed to go for a night walk. As you can imagine, I had enough of walking and climbing so we opted to visit a Rumah Panjang instead. I can tell u I REGRET NOT WEARING MAKEUP BECAUSE!!!!! 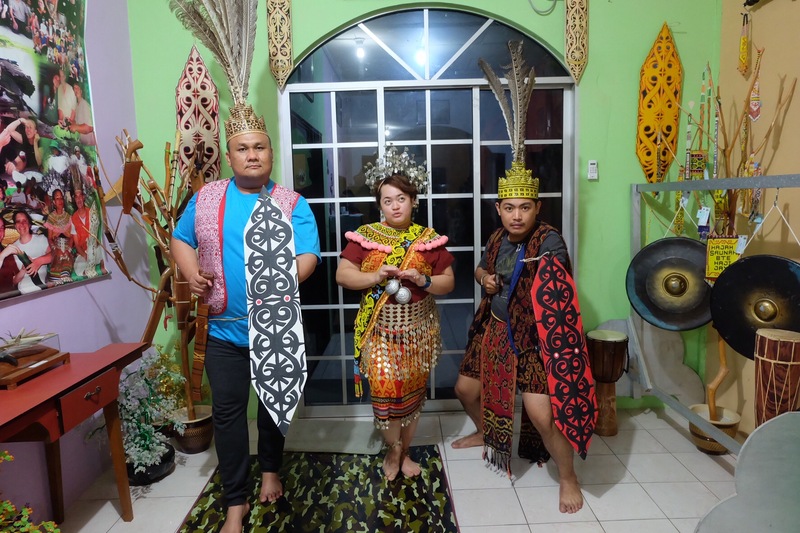 we get to dress up in Iban traditional clothes and they are most definitely super fabulous! The skirt is actually made of coins! I love it! And the hair piece. OMG suka ku berabis. FYI, this rumah panjang actually also operates as a homestay pasal dorang steady!!! Check out more info here. 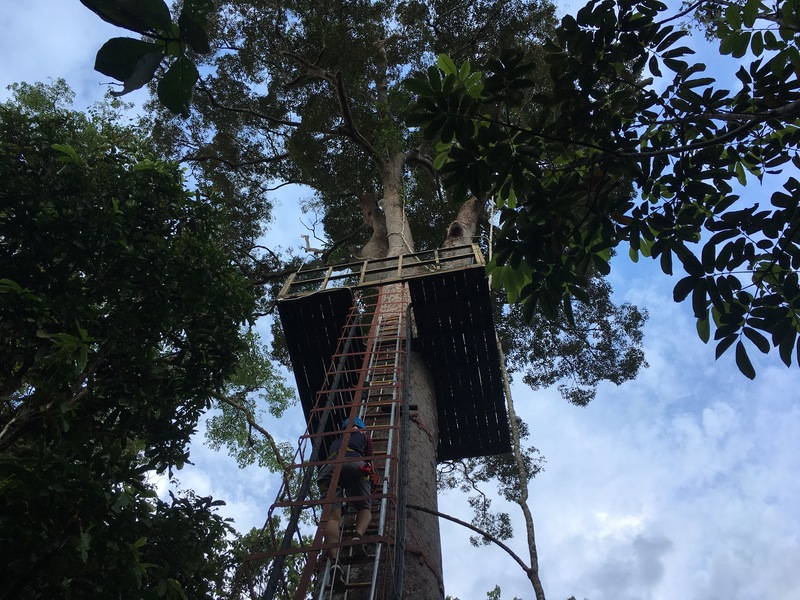 Wow Maurina, its always exciting and cool to hear your stories on Temburong im definitely putting that on my wish list of things to do in Brunei!